This incredibly shy girl loves to cook and entertain their friends. She is glad when her friends girls and boys happy with its sweet treats and come again. Ginger Breadhouse would like to open my own restaurant or cafe that came to her all friends and residents of the city. Therefore, it is very responsible attitude to learning and exploring new recipes for delicious sweets. It seems that she is very successful and she's not going to be distracted by all sorts of stuff. How to play: in this game you select a new dress, hairstyle and jewelry for girls of ever After high that loves to cook cakes incredibly delicious and beautiful. You certainly would not refuse to try one of the delicious sweets that creates Ginger. Played: 43605. Added: 17-11-2015, 15:33. 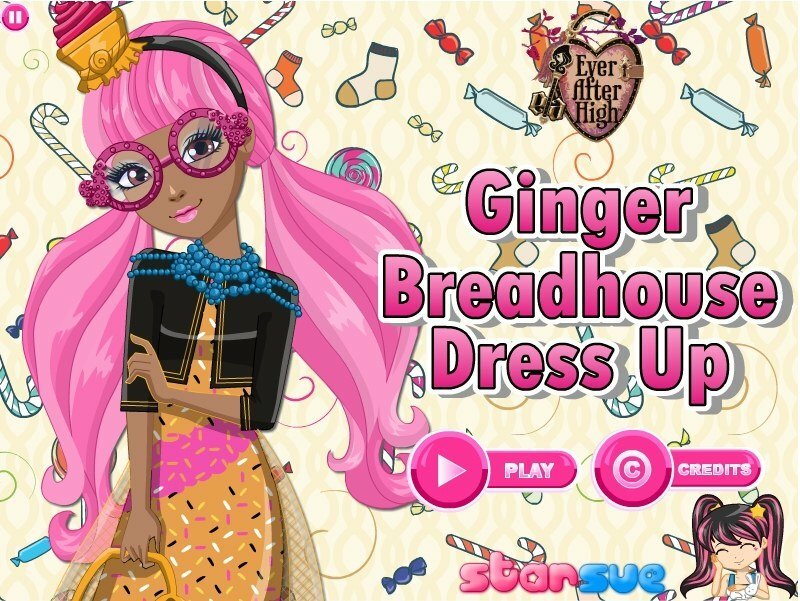 Ginger Breadhouse dress up game. Pick up a new dress and haircut for Ginger.